Home improvement shows on networks like HGTV and DIY Network provide a false impression of the home remodel process for bathrooms, kitchens, and other areas of our homes. These shows hide the reality of extended timelines, hidden surprises, extra costs, and big messes. We want you to be prepared for the reality of your bathroom remodel with All About Bathrooms, so please read on to know what to expect. 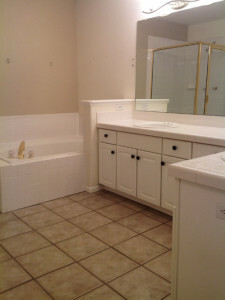 Complete bathroom remodels by an experienced contractor are not inexpensive. Be prepared to discuss your budget and how you will be financing the project. Be aware that banks have become less willing to approve home equity loans, so find out ahead of time if you have financing options. Make sure to understand total costs, the payment schedule, and what costs may not be included such as permits, personal choice items, and contingency funds for change orders. 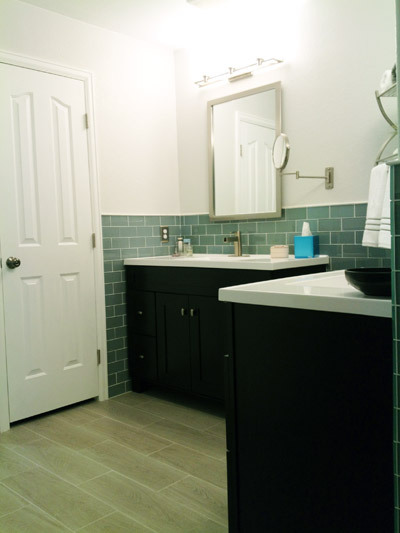 All bathroom remodels will require that the homeowner be involved and available weekly for planning & progress meetings and daily to let crews in and out of the house during the construction (if not using a lockbox). Our bathroom remodels run an average of 6 weeks from demo to completion, and things like permitting/inspections can add to the timeline, especially if your home is older and inspectors require updating to meet current code. The age of your home is critical to the remodeling process, as homes built before 1978 require testing and abatement for lead and asbestos prior to beginning a bathroom remodel. The homeowners are responsible for these costs and coordinating the work. Also as noted in the previous paragraph, older homes may present additional challenges and costs due to required code updates or outdated infrastructure. We want you to be prepared for the disruption that a bathroom remodel will cause. Clearly, you will be unable to use the bathroom until it’s done, so hopefully there is another in the home you can use during construction. Homeowners will need to remove personal items from the room and place them in storage. In addition, there will be dust, debris, fumes, and other potential irritants and allergens from the construction process. Nobody wants to hear about extra costs, but, inevitably, surprises or change orders happen! When we are opening up walls and floors, there is potential for unexpected expenses to arise, so please be prepared. Some contractors recommend reserving up to 30% of the remodel budget for these surprise costs. Thanks for reading our tips for understanding the reality of a bathroom remodel. With the proper outlook, we can successfully remodel your bathroom from a boring, outdated space to a fresh, clean retreat!